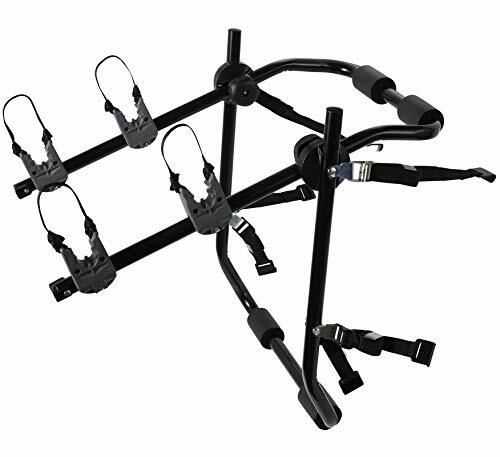 Trunk Mounted Bike Rack is easy to use, as it is pre-assembled and has easy to follow instructions to install onto your car. Fits most vehicles and carries 2 bicycles at the same time. Fits most sedan vehicle trunks - adjustable. Bike rack can hold up to 2 bikes when fully assembled. Built-in safety straps for extra security. Safe to use - does not block rear view. If you have any questions about this product by Motorup America, contact us by completing and submitting the form below. If you are looking for a specif part number, please include it with your message.